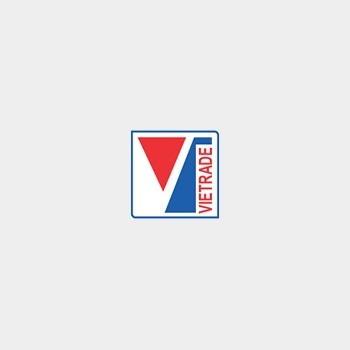 VIETRADE - On July 8, in Dong Ha City, Quang Tri province, the Ministry of Trade and Industry and Quang Tri People’s Committee opened the Trans-Asia Bridge Span Industry and Trade Fair. This activity, within the program of National Trade Promotion Program in 2015 aimed at promoting socio-economic achievements in Quang Tri in particular and nearby provinces in general. Besides, the Fair is also a venue for cooperation, development, promoting products, services and technology transfer. The Opening Ceremony was attended by Mr. Nguyen Duc Chinh, Quang Tri’s Deputy Party Secretary and People’s Committee Chairman, Mr. Nguyen Duc Dzung, Member of the Province Party Secretariat, Vice-Chairman of Quang Tri People’s Council; Mr. Bui Huy Son, Director General of Vietnam Trade Promotion Agency (Vietrade), Ministry of Industry and Trade; representatives of Thailand provinces such as Mucdahan, Sakon Nakhon; Provincial leaders, authorities across Vietnam and 238 enterprises, national and international economic organizations etc. The fair attracted more than 500 booths from 238 organisations, enterprises from inside and outside of Viet Nam. Diverse products include construction materials, interior and exterior furnishing decoration, fresh foodstuff, additives, drinks, cosmetics, sweets, fruits, packed food, coffee, rice, pepper, cashew nuts, vegetables etc,. Products range from heavy, light industries, handicraft, to application industry such as automobiles, motobikes, spare parts, metalware, household applicants, electronics, textiles, leather footware, domestic amian and plastic applicants, handicrafts; agricultural products. There were also different services of tourism, banking, finance, telecommunication, insurance at the fair. These products have helped introducing socio-economic achievements, advantages, products and services of Quang Tri province and the others across the country as well as nations along the East-West Economic Corridor, i.e Laos and Thailand. Commodities of Lao and Thai enterprises come through border gates officially under the regulations of temporary import to re-export. The Fair Steering Commission has emphasized the importance of business culture with all enterprises exhibiting at the fair. The market management forces also supervise regularly. In his opening speech, Mr. Nguyen Huu Dzung, Vice-Chairman of Quang Tri People’s Committee stressed that the Fair aims at promoting economic cooperation, investment as well as launching the potentials, advantages and trademarks of different products coming from all parts of the country in general and Quang Tri in particular so as to connect investors, and entrepreneurs in trade, tourism from East-West Economic Corridor and regional countries. On this occasion, in Dong Ha, the Ministry of Industry and Trade also hosted many activities such as the Signing Ceremony of Demand and Supply, Trade Exchange Conference for Six Northern Central provinces; Workshop on “Policy-relevant information for companies when joining the TPP” etc.